Jack Russell Terriers are amazing creatures. Their boundless energy and joie de vivre are simply astounding and on par with their affection and endless amounts of love that they aren’t afraid to show at any turn. In them, you truly have a trusty companion for all your adventures, big and small. My beloved Kala’s antics can’t help but put a smile on everybody’s face and I adore her to pieces. That being said JRT’s aren’t for everybody. Humans developed different dog breeds for various purposes and even according to different tastes and fashions of the time. Not all dog breeds are for everybody and that’s OK. Maybe you don’t have enough room for a Mastiff, find Bulldogs too docile or Chihuahuas too loud. Fortunately, there are hundreds of different breeds with different personalities and preferences and I’m sure there’s one out there that’s just perfect for you. I’m not saying that all dogs from the same breed are the same, not by a long shot. All dogs are individuals like you and me. Belonging to a certain breed just means that they (should) have a tendency to behave a certain way more than other members of their species. In reality not all water dogs love to swim or retrievers play catch. It all depends on their own character and set of preferences. But it tells you what you can expect from your companion and what they might demand from you. That’s the reason why you should do a thorough research before becoming their guardian in your own right. Choosing a breed of dog to love, protect and guard for the rest of their lives is a great responsibility and you must think thoroughly about your own lifestyle and habits to decide what is the best course of action for everybody involved. Dogs are not toys. All pets are living breathing beings that demand our love, time, care and respect. 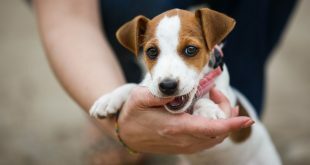 These are a few things that you should consider before becoming a proud companion of an energetic ball of wonders that is a Jack Russell Terrier. Do I live in a house or an apartment? City or countryside? Do I have a big backyard or a little bit of ground just enough for my prized petunias? Your housing situation is gravely important for your choice of pet. A small downtown apartment may be OK for a toy breed but won’t do for a German Sheppard or a JRT for that matter. Don’t think that just because a dog is small in stature that they don’t have to have plenty of room to roam and explore. JRT are highly energetic and what’s more important very intelligent. They have to have enough room to stretch their legs, move and explore freely. It’s not just for their sake, but for yours, and your furniture’s too. Jack Russell Terriers can be a bit overwhelming when they get bored, and they do get bored easily. They need constant interaction with the world around them – sniffing, listening, chewing, playing, running. They excel in the great outdoors where there’s always something new going on and where there’s enough space to run around. They can be happy in apartment buildings also, but you have to be prepared to clock in a lot of time with them every day. 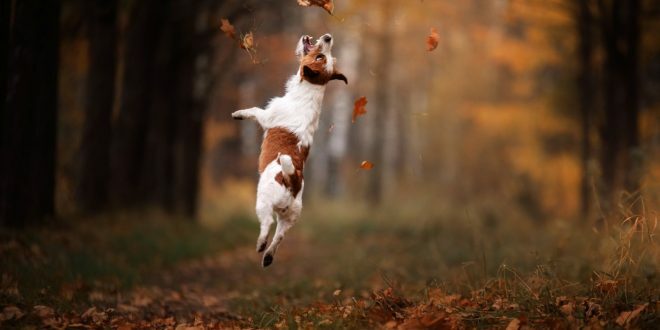 It’s not just a walk around the block with them – you have to burn some of their excess energy (and they’re like a miniature power plant in that regard) with vigorous exercise and training sessions in the park or some other place where you feel confident that they can be let loose without a leash. Make sure that you have regular long play and training sessions with them every day indoors too or they could get anxious and destructive. Having a backyard, even a smaller one in which they can spend some time playing and frolicking around would be great. Keep in mind that they are excellent diggers and can also jump over fences that are 6 feet high. Make sure to make adjustment’s accordingly so that one day you don’t find them waiting for you on the wrong side of the door all covered in mud pretending like nothing extraordinary happened. You have to keep up with their boundless energy. If you lead an active lifestyle and spend a lot of time outdoors they’ll be able to keep up with you all the way and then some. We hike regularly and she’s with us every step of the way even on demanding trails. No matter the time of the year or the weather I spend a couple of hours with Kala every day doing at least some form of physical activity. A long walk and a vigorous game of catch is our bare minimum. On the other hand, they can be an excellent motivator for you to get more exercise. Be prepared to watch over them like a hawk. It’s not unusual for them to get carried away and wander off following their nose to the next best thing with no regards for their own safety. They can be quite stubborn too so keep a close watch and invest time in obedience training otherwise you could have some serious problems in the long run. They really enjoy training and learning new things – it challenges their mind and body. They excel at dog sports like agility, frisbee etc. and hunting challenges like Earthdog. Keep in mind to always use only positive training techniques – not only are they better for the dog and your relationship but they’re more effective too. More specifically for fox hunting. They have a very strong prey drive and are relentless pursuers. There are known cases of them refusing to exit underground burrows for days if they had their prey cornered – in the end, their owners had to dig them out before they hurt themselves. They often don’t get along with many other animals, including other pets (cats, rabbits, generally everything small and furry). If they’re properly socialized and trained when they’re still young puppies they can learn to get along with others but keep a close eye on them if you find yourselves in the wild. They’ll go running after some critter the first chance they get. With their average height of about 12″ what they lack in stature, they make up in spirit. Jack Russell Terriers can be quite bossy towards other dogs. They’re stubborn and fearless in the face of adversity (real or imagined) and they won’t back down from a fight even from opponents that are much larger than themselves. I think that the fact that there are recorded cases of them giving bears a run for their money speaks for itself. JRT are in my opinion one of the most lovable and endearing dog breeds there is. The whole point of this post isn’t to scare you away from Jack Russel Terriers but to consider in greater detail what it means to be a proud guardian of one. Unfortunately too many people today take the responsibility of living with a dog too lightly and quickly get tired and disillusioned by the whole experience. In such cases, the best outcome is finding the dog a proper and loving home and a family that will take care of all their needs, in the worst case it leads to strain, stress, and suffering on all sides. I just urge you not to rush into things and be absolutely sure if a JRT is a right choice for you. If you want a loyal, incredibly smart and charming comrade with loads of personality and endless energy for all your adventures, then Jack Russel Terriers should be on the top of your list. I wouldn’t want, nor can imagine being with, any other four-legged companion than Kala. I fell in love with her from the first time I saw her and I believe that the feeling is mutual. She is my trusty companion through thick and thin. I always strive to do what’s best for her. It may occasionally be time-consuming but it’s never hard. No matter the circumstances, where we are and what we are doing her happy, smiley face always brightens my day. She gives me so much and I want to give it back to her in the best way possible. No matter what you decide I’m sure that you’ll make some lucky pup very happy by providing him/her their loving forever home. What do you think? We’d like to read your thoughts and opinions in the comments below. ‘So interesting to read about Jack Russells. i have a little, adopted, rescue dog, he mostly looks like a short haired Chihuahua, except that his body is a bit more squarish and he’s more muscled than the average Chihuahua. The shelter where I adopted him from called him a “Chihuahua mix.” Well, lo and be bold, he is tireless, doesn’t mind bad weathet, always wants to go out, and has very strong hunting instincts. Given all these unlike a Chihuahua characterisics we had his DNA tested, curious to learn what other breed he might be mixed with. He turned out to be 50% Chihuahua and 50% Russell Terrier. The DNA testing company wrote Russell Terrier on his report, not Jack Russell. There is a difference, but they are related I believe, and those hunting instincrs certainly are strongly manifested! Hi Romanie, according to the American Kennel Club (AKC), the Jack Russell terrier, as an official breed, doesn’t exist. The AKC recognizes Russell terrier and Parson Russell terrier, two similar breeds with differences mainly in height and proportions. Russell terriers are those with short legs and Parsons are long-legged. Jack Russell includes both of this versions. All those personality traits you described are typical JRT. Thank you for sharing your story and hope you’ll find here some deeper insights into wonderful JRT world.